I remember the first moment, a few years ago, at which I began to take the Internet seriously. It was a very, very silly thing. 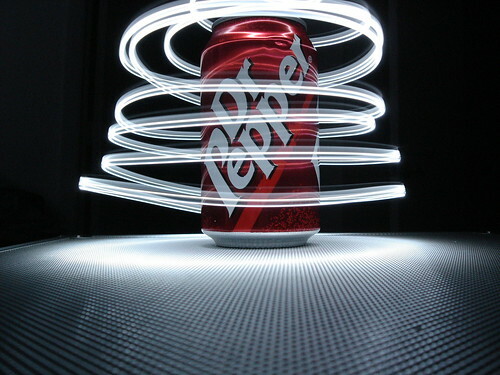 There was a guy, a computer research student at Carnegie Mellon, who liked to drink Dr Pepper Light. There was a drinks machine a couple of stories away from him, where he used to regularly go and get his Dr Pepper, but the machine was often out of stock, so he had quite a few wasted journeys. Eventually he figured out, “hang on, there’s a chip in there and I’m on a computer and there’s a network running around the building, so why don’t I just put the drinks machine on the network, then I can poll it from my terminal whenever I want, and tell if I’m going to have a wasted journey or not?” So he connected the machine to the local network, but the local net was part of the Internet – so suddenly anyone in the world could see what was happening with this drinks machine. Now, that may not be vital information but it turned out to be curiously fascinating; everyone started to know what was happening with the drinks machine. It began to develop, because the chip in the machine didn’t just say, “The slot which has Dr Pepper Light is empty,” but had all sorts of information; it said, “There are seven Cokes and three Diet Cokes, the temperature they are stored at is this and the last time they were loaded was that.” There was a lot of information in there, and there was one really fabulous piece of information: it turned out that if someone had put their fifty cents in and not pressed the button, i.e., if the machine was pregnant, then you could, from your computer terminal wherever you were in the world, log on to the drinks machine and drop that can! Somebody could be walking down the corridor when suddenly, bang! – there was a Coca-Cola can! What caused that? Well, obviously somebody five thousand miles away! Now that was a very, very silly but fascinating story, and what it said to me was that this was the first time we could reach back into the world. It may not be terribly important that from five thousand miles away you can reach into a university corridor and drop a Coca-Cola can, but it’s the first shot in the war of bringing to us a whole new way of communicating. Douglas Adams Q&A after a speech entitled Is There an Artificial God? Adams is gave this speech in 1998 about something that happened a ‘few years earlier’. So let’s say 1996 or 1995. When you get excited about things like @towerbridge, @lowflyingrocks, Google energy monitors, and Spimes, remember: the idea and the means was already there, we just had our attention elsewhere for awhile.